Shawn Clark writes music from the heartland. Attend a Shawn Clark Family Band show and you’ll hear a Hank Williams, Sr. tune or an obscure Marty Robbins song. Primarily, you’ll hear Shawn Clark’s original tunes, delivered in his confident baritone. Inspired when hearing Townes Van Zandt’s version of the Rolling Stones’ “Dead Flowers” while watching the film, The Big Lebowski, Shawn Clark thought, “I want to write music that sounds like that.” Two years later, he has two albums, a fine group of fellow musicians making up the “Shawn Clark Family Band” and his sights set on bringing this old-style country music to a wider audience. With his ever growing collection of original songs, like: “Foot Taps on Hardwood Floors,” “The Needle is a Skippin” and “Wasn’t Lookin for Love,” Shawn Clark explores the hopefulness of new love, the loneliness of lost love, and the conflict of falling in love fast, when you had no intention of racking up another broken heart. A Texas native, Shawn Clark now calls central California home. 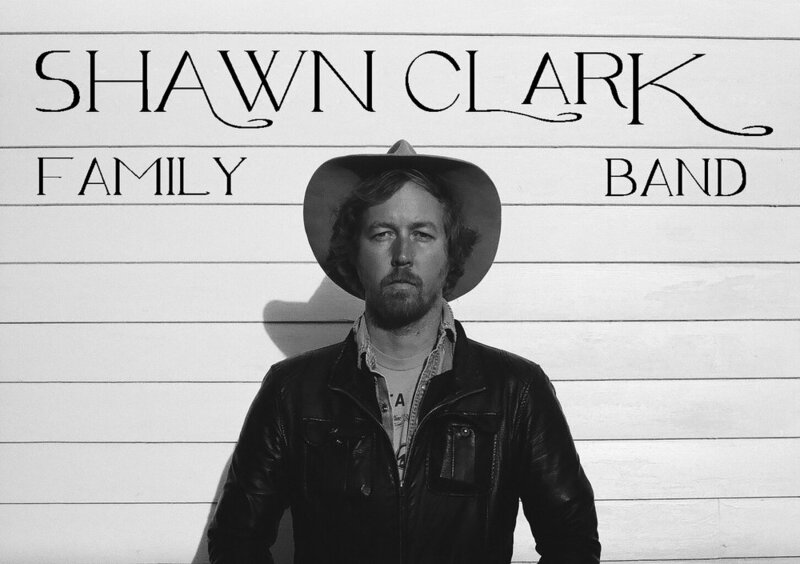 The Shawn Clark Family Band can be found playing throughout San Luis Obispo County, drawing the attention of music promoters throughout the state and receiving radio airplay as far away as Europe.